Our guests enjoy sunbathing, reading, eating and above all relaxing at sunset, on our terrace in front of the restaurant, while savoring our delicious cocktails. Going down the stairs to the sea, when it is warmer, allows you to cool off in the clear water in front of the terrace. Many people enjoy walking around Carenero Cay. There are sandy beaches on the east side of the island with beautiful views of Bastimentos and Solarte. Visit the restaurants and bars of the island for a drink and a great view. Venture a little further north, the area is uninhabited and it is very pleasant to walk to the seashore. The northern end of Carenero has some of the best waves in the world to surf! Herons, egrets, pelicans, eagles, hawks, parrots, and many other birds can be seen in the Archipelago. Bird Island is a must for birders. It is a small beautiful island, no more than 20 meters high, where several species of birds nest. 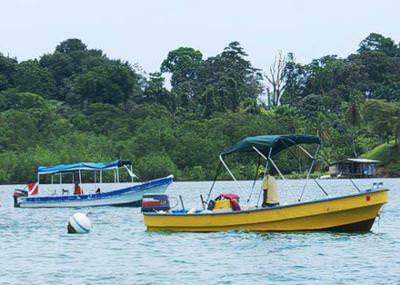 The Smithsonian Tropical Research Institute (STRI), Bocas del Toro Marine Laboratory, is another of the sites to be visited locally. Many water activities are available. 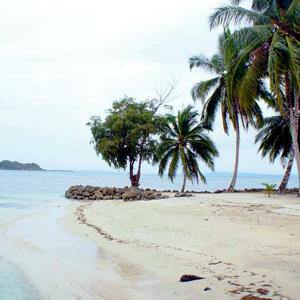 You can choose from a list of day trips and visit several islands in the spectacular Bocas del Toro Archipelago. One of the most popular daily activities is an extensive day of snorkeling and on the beach, by boat, easily organized with independent operators in Bocas. If you are willing to join others to fill a tourism boat (8-12 people) the average cost is $ 25 per person. If you are part of a group of 4 or more, we can recommend captains of trusted boats to take you on a private trip. Going through the Super Gourmet and stocking up on delicious sandwiches and sandwiches for a beach picnic can be a good idea. The most popular circuit includes Dolphin Bay (where bottlenose dolphins are usually seen), Coral Cay (an attractive coral reef with an abundance of fish!) Then have lunch in one of the neighboring restaurants on the sea and end the afternoon sunbathing, swimming or surfing at Red Frog Beach. If it includes Cayos Zapatillas, magnificent uninhabited islands that are part of the Bastimentos National Marine Park, the fee for the tour will increase a bit. 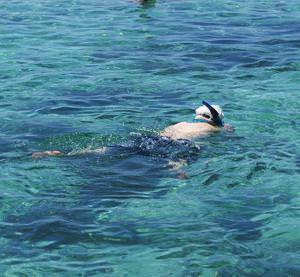 There are also daily tours available to Boca del Drago, Starfish Beach and Bird Island. At Hotel Vista Mar we have one of the best sport fishing operations in the region. Check at the hotel's reception prices and conditions. Daily trip in a catamaran, driven by an experienced and licensed captain, by several islands of the Archipelago, including stops for snorkeling. It can accommodate up to 20 people, cost approximately $ 45 pp, including lunch. Some of the most beautiful coral reefs in the Caribbean are found here in the Bocas Archipelago. While masks and snorkel can be purchased in the town of Bocas, if possible, it is recommended to bring your own equipment. Diving centers certified by PADI, as La Buga that it is located in Calle Tercera, downtown Bocas, only 5 minutes by taxi from the hotel, offers diving courses and excursions. 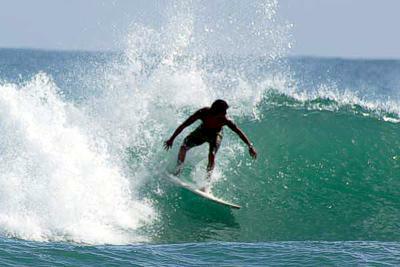 Surfing in the Bocas del Toro region is world class. The northern end of Carenero, a 10-minute walk from the marine taxi, has an impressive reputation for challenging waves. Also check out Paunch Beach, Bluff Beach and Wizzard Beach. Surfboards are available to rent in Bocas at Tropix, Crazy Monkee Surf School, La Buga and School of the Sea, who also offer lessons as well as excursions. Red Frog, Playa Bluff, Bocas del Drago and Zapatillas are the favorites. The main beach of the town, the Istmito (or La Cabana), is also suitable for sunbathing and enjoying the sand. Spanish by the Sea and Habla Ya offers small groups and individual classes. Timorogo offers day tours in the forests of Isla Bastimentos. It also offers indigenous Ngabe crafts and food. Soposo Rainforest Adventures offers tours of 1-5 days on the Teribe River and in the mountains. Visit the Naso indigenous communities, get to know their handicrafts, their organic medicine gardens and enjoy rafting on the Teribe river. Oreba offers daily tours that tour the mountains to visit a cocoa plantation and learn how chocolate is made. By far, Super Gourmet is the best grocery store in Bocas, gourmet delights and delicious sandwiches. Located opposite the ferry dock.